Final Fantasy 15 has been long awaited by both fans and casual gamers. Some were eager to see what the new game will bring, while others were impatient to play a new game, in a new universe, and to encounter new characters. The game itself claims that it is destined for both avid fans and first-timers. And indeed, the game does a very good job at introducing new elements while mixing them with new ones. The resulting feeling? Amazement. 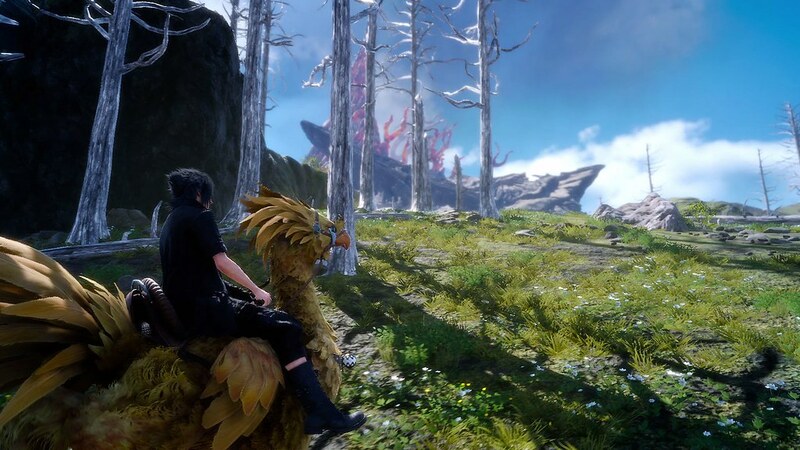 Final Fantasy 15 welcomes you home and throws you in an unknown world, at the same time. Final Fantasy 15 is an open world game. This has been announced since the game was first revealed. And it has sparked some controversy. Some people believe that the game’s focal point is going to be lost somewhere in the vast open world. Others think that this is actually a smart move from the developers. One that might help them appeal to some other type of players. Thus, it will extend the game’s popularity among people who are no so familiar with the game’s type of gameplay. Not much has been known about Final Fantasy 15’s story. But recently, thanks to two films released with the purpose of offering a view on the game’s world and characters, we now have some more details. Both Kingsglaive and Brotherhood have introduced us into a special world. The Lucis Kingdom, The Niflheim Kingdom and their ongoing war. Also, they have offered some details about the main character, Noctis, and his group of friends. So, if you want to have a better understanding of the game’s events, it would be a good idea to watch those two movies beforehand. But it must be mentioned that this is not such a good thing. It actually contradicts with the game’s tagline about being for both fans and first-timers. A first time gamer should not have to go back and watch something else in order to understand what is going on. And he or she will most probably not do it. The result? A game which will have no substance for them, and which they will not fully comprehend. There are many things which you can do, aside from the main quest. As an open world game, those “go and bring that” quests, or the “search for that” quests are sure to be there. And they are. And sometimes, they get repetitive and boring. The combat on the other hand is spectacularly done. It has evolved from the previous Final Fantasy titles and it is better than ever. You will encounter huge monsters. You will encounter smaller ones too. The fights will be equally fun. And rewarding. It is fast paced, allows you to change your weapon mid-fight and to make interesting combos. One of the most interesting aspects of the game is the food. Yes, you need to eat. If you want to increase your stats, that is. Different food gives you different boosts in many areas. And it is sometimes necessary. It is a cheap way to refill your attributes and to go into a battle prepared. Or to face an enemy when you were not expecting. All in all, Final Fantasy 15 is a very well-done game. Fans waited for a very long time, but in the end, the reward was great.